After President Trump slapped tariffs on aluminum and steel coming from the European Union, Canada and Mexico in May, Mexico responded with tariffs of its own on U.S-made cheese and a slew of other products in retaliation. The United States-Mexico-Canada Agreement (USMCA), the successor to NAFTA, was agreed upon by the U.S., Canada and Mexico earlier this month. But it didn't do anything to address Trump’s metals tariffs, and cheese remains a part of the United States' trade war with Mexico. Exports are an increasingly important way California's cheese processors make money. And because Mexico represents a huge chunk of those exports, they're feeling the pressure. 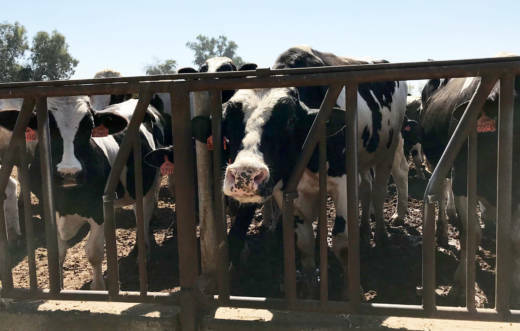 In 2016, almost a third of the state's dairy products were exported to Mexico, according to data from the California Department of Food and Agriculture. Canada is a distant second, followed by China. At the Peluso Cheese manufacturing facility in the Central Valley city of Los Banos, three women grind Cotija Molido into a crumble that’s used in traditional Mexican and Central American cooking. The women stand as they work in a small refrigerated room cordoned off from the rest of the building with a plastic curtain. Before it leaves this part of the facility, the cheese will be bagged, labeled and boxed for shipping. 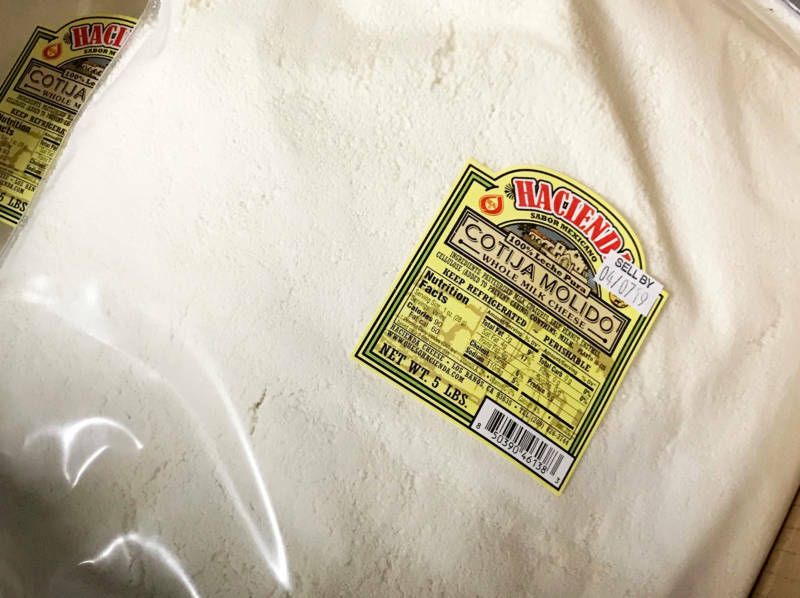 Cotija Molido is one of several cheeses — along with Oaxaca and Panela — that Peluso sells to consumers south of the border. Rene Reynoso, Peluso’s chief operating officer, said they ship 40,000 pounds of cheese to Mexico each month. He’d been planning to increase that by a factor of five, to 200,000 pounds of cheese per month. But then, he hit the brakes. “We basically saw everything that was going on with the trade wars and we said ‘uh-oh.’ That's going to create problems for our business,” Reynoso said. Mexico has enacted tariffs of as much as 25 percent on cheese made in the United States. "Mexican people living in Mexico won’t be able to afford this cheese. They’re going to feel that the price is too high for their budgets,” Reynoso said. Peluso Cheese is shelving its once ambitious expansion plans. Plans to add 10 to 12 people to the staff of 35 are on hold. And for those who already had jobs, they’re getting fewer hours each week. Reynoso thinks in the long run, he and others will benefit from Trump's trade war. But in the short term, Mexico's tariffs have hit the dairy industry hard. Last week, the National Milk Producers Federation sent a letter to Agriculture Secretary Sonny Perdue to highlight its estimate that milk producers have experienced more than $1 billion in lost income since May to tariff retaliation. At Hilmar Cheese Company, a large cheese processor in Turlock that sells to brands and restaurants around the world, CEO David Ahlem says there could be long-term impacts as his customers look for a short-term fix. "My fear is that this will have long-term impacts in the supply chain as they go and look for cheese from other places, whether that's the European Union or Australia and New Zealand, and believe you me, they're standing at the door ready to fill those markets and sell them some cheese." In other words, once those customers go elsewhere, they might not come back, even after the trade wars are done.